The Edgelake Beach Club has a rustic charm combined with a contemporary flair. On-site you can play tennis or lounge by the resort's outdoor pool and spa. There's also fishing in the lake, a fitness room with exercise equipment, whirlpool/hot tub, games room with a pool table, and a playground and pool toys for the kids. 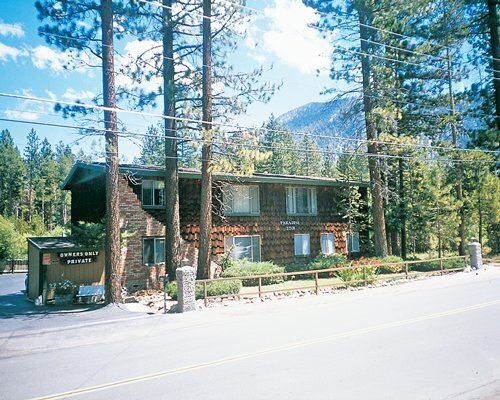 For the ultimate Lake Tahoe experience, bring the whole family to the Edgelake Beach Club. You won't want to leave. 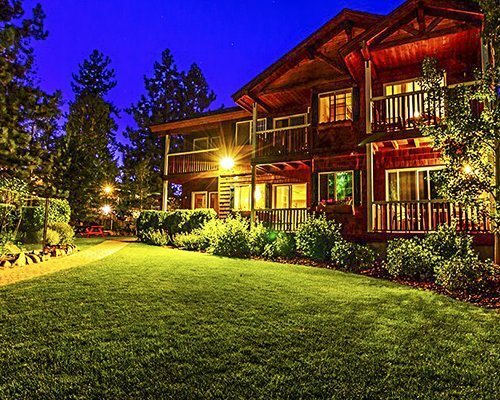 Apartments overlook 240 feet of beautiful sandy beach and the clear blue water of Lake Tahoe. Choose from studios, or one-, two-, or three-bedroom apartments with 25" TV, alarm clock, cable TV, CD player, coffee maker, dishwasher, DVD, gas fireplace, hair dryer, heating, internet access, ironing board with iron, microwave, mini dishwasher, mini refrigerator, partial kitchen, place settings, pots and pans,, stereo, stove top, telephone, toaster, and VCR. The nearest major airport is 45 miles away in Reno, Nevada. From the airport, take Highway 395 north, I-80 west and Highway 267 south to Kings Beach. Turn right on Highway 28 and continue 1/4 mile to the resort, which will be on the Lake side of the Highway. Please contact the resort in advance for late check-in instructions. The office hours are 8am to 6pm daily. Phone lines open at 9am. THE RESORT'S FITNESS/GAMES ROOM IS OPEN DURING OFFICE HOURS ONLY. In summer, Lake Tahoe is a haven for boating and fishing. Local marinas offer equipment rentals for a day on the lake whether you want to water ski or fish. Buoy rentals are available on-site for those who bring a boat. And don't miss the enjoyment of hiking and golfing amid breathtaking mountain scenery. For those who love winter, 20 ski areas surround the lake offering superb downhill adventure. 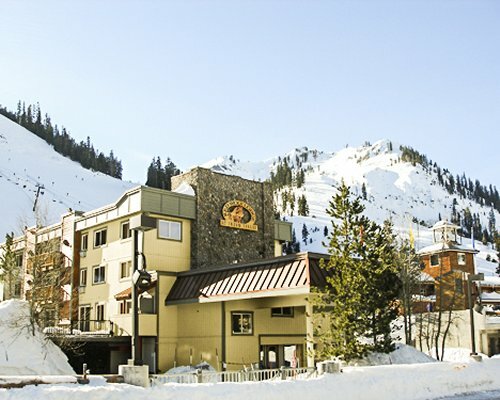 The resort is only seven miles from Northstar at Tahoe, and a short drive from Squaw Valley, Alpine Meadow, and Diamond Peak. Shopping, casinos and live entertainment are also nearby. The resort requires Visa or MasterCard imprint at check in. 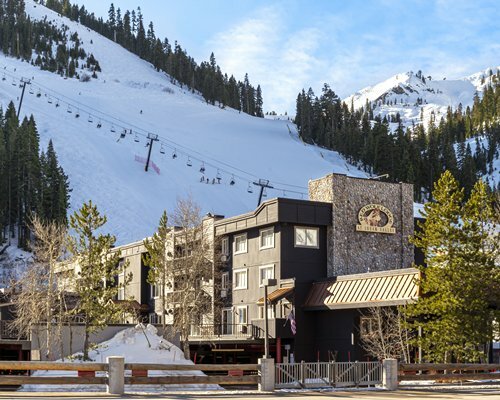 Resort will take $100 personal check which will be returned marked void after it is determined there are no phone charges at the end of the month. A mandatory charge of $5.00+tax Utility Fee will be charged at check-in.